65% of all emails sent are spam, what’s the solution? SPF and DKIM (DMARC) can help you protect your domain name from being used in SPAM mailbombs. Spammers will often use real email addresses and domains to send forged “spoofed” email messages and SPF/DKIM provide a mechanism for identifying which email server/platform you use. By setting up an SPF/DKIM you can tell places that are receiving email from your domain what to do if the message wasn’t actually sent from you. If your inbox is full of email bounces and non-delivery receipts, someone is using your email address to send junk mail and an SPF/DKIM record will practically eliminate bouncebacks. At ExchangeDefender we manually process SPAM complaints from our customers – that’s how we train our system to eliminate messages that otherwise make it through because they are legitimate in every way we can automatically process them. The number one way to get a ton of annoying email that may be on the borderine between legitimate commercial mail and an unsolicited one: generic email aliases. If you get info@, sales@, admin@ or so on, you are painting a giant bullseye on your Inbox and practically begging to be spammed. I know, I know, everyone that has your email address supports CAN-SPAM , would never send you unsolicited mail, would never sell their client list… and even if you believe all those lies most of the time, people still get hacked. All the time! As do their ISPs and infrastructure along the way. If you want to reduce the amount of junk mail you deal with, simply reduce the number of places that have your email address. Simple! Sometimes SPAM gets through. Sometimes dangerous stuff from your friends and colleagues gets forwarded around. Sometimes your antivirus isn’t up to date. Sometimes the firewall virus protection is misconfigured our expired. Things happen: none are a good excuse for the simplest thing you can do: avoid clicking on anything in messages that look or seem suspicious. The second biggest source of SPAM complaints at ExchangeDefender is actually completely self-inflicted: people whitelist major email providers and wonder why blatant junk mail keeps on “slipping through” as whitelisted. Go through your whitelist entries in Outlook, etc and make sure you aren’t whitelisting Gmail, Outlook, Yahoo, Verizon, AT&T, Hotmail or any of the widely used and abused email domains. 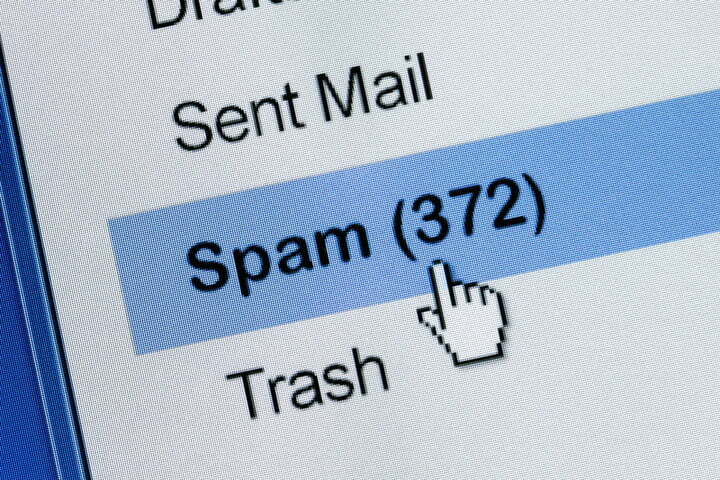 Spammers know your email admin doesn’t want to deal with complaints about messages you’re getting from these platforms so they treat them more leniently – so spammers simply abuse them. It’s really that simple – following these steps will cut your junk mail pile in half within a day. If you want to reduce it to less than 1%, ExchangeDefender is here for you for less than a buck a month or you can layer it and add more protection if you need it because time is money: but no amount of technology and automation can replace just a little bit of common sense.